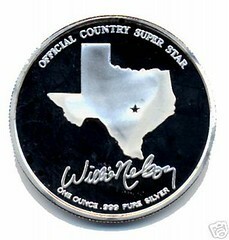 This coinÂ was issued a number of years ago by a Southern Music Company that is no longer in business – so it is not easy to obtain one of these really great coins today. 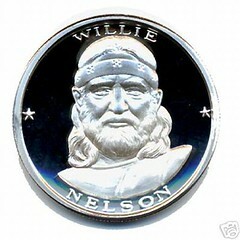 It is Silver Dollar Size and struck from One Ounce of Pure .999 Silver and is in Proof Quality (which features mirrorlike fields and frosted devices and is the finest quality in which a coin can be minted). This entry was posted on Saturday, August 4th, 2007 at 10:16 am and is filed under e-bay. You can follow any responses to this entry through the RSS 2.0 feed. You can leave a response, or trackback from your own site.